Bots can be an asset to newsrooms, helping to plug coverage gaps and providing context — but does the public want to chat? News organisations have been experimenting with chat bots for years, looking for ways to share information in new formats and to reach new audiences. A BBC bot on Twitter offered coverage of the 2017 UK General Election on the social network. The BBC had invested heavily in its coverage on the website and on television, but its social media audiences were at risk of missing out in comparison. Enter @bbcelection - a solution to provide comprehensive coverage of the election results with minimal effort on the night and at a minimal cost. Two bots worked together to share the automated coverage on Twitter: one creating graphics as the results came in, and one publishing them to the feed. It was a full election service without too much investment, explained Paul Sargeant, senior journalist, news visual journalism, BBC, speaking at the GEN Summit in Portugal today (30 May 2018). “Bots allow you to do things at scale and do things faster than a journalist would be able to,” he said. BBC Asian Network has also been experimenting with chat bots to tell stories to its social media audiences, with bots often acting as a complementary storytelling channel alongside a piece published online or as a radio package. One of the topics tackled by a chat bot was a hard-hitting story about alcohol abuse, told in a more conversational tone aiming to reach audiences who might not be engaging with the article online or tuning in to the radio broadcast. Users could ask question and the bot would present the next element of the story as if a friend was explaining it. But chat bots aren’t exclusively a tool for creating new social media experiences. More recently, the BBC has been experimenting with in-story bots. 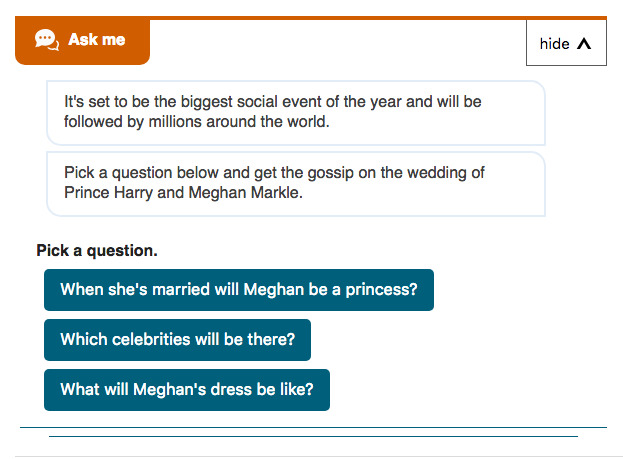 When the public came to the BBC website to read about the royal wedding for example, they were given the option to chat to a bot and ask questions about the day, getting information ranging from details about the ceremony to any news of Meghan Markle’s dress. But is this the type of experience people expect from the BBC? Early research results presented by Sargeant at the GEN Summit showed that people were surprised by the format but liked it. In-story bots are more suited to coverage of events such as the royal wedding or the Oscars, he said, but they are also useful for explaining ongoing issues such as Brexit. These chat bots enable the public to catch up on stories by asking background questions, with answers shedding some light on the context or origins of an article. And the public finds the experience engaging. The royal wedding bot was added to 25 stories about the topic, which were loaded in 3 million browsers. About 20 per cent of the people who loaded the stories used it, and each person who interacted with it asked between five to seven questions. 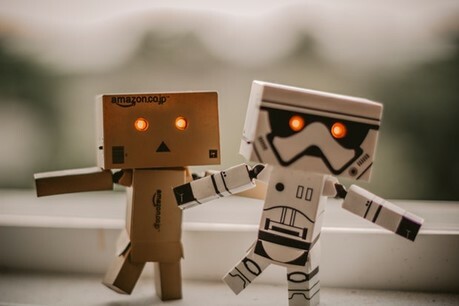 While news organisations might think of chat bots as a way to reach wider audiences, using them for storytelling can also help keep the existing audiences engaged for longer.